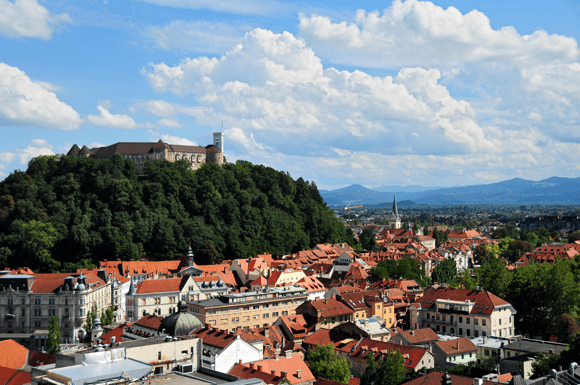 Tours from Slovenia – Active Holidays in Slovenia & Region! KoperTours is a specialised tours agent, which provides its services for over 20 years in Slovenia. Based in Portoroz, the largest Slovenian seaside resorts, and has an in depth knowledge of the area and its tourist products. Monitoring the local environment we deliver tours to global public. Kopertours services expand to the cities of Koper, Trieste, Izola, Piran and Ljubljana as well as the Adriatic coast for larger private arrangements. Our knowledge goes beyond the Slovenian Coast, we know our country and its many regions. The Alps with lakes of Bohinj and Bled, wine regions of Goriska Brda, Vipava Valley and eastern Slovenia, outdoor destination of Soca Valley and the beautiful Slovenian Capital of Ljubljana. KoperTours is also an experienced and reliable shore excursions operator. Here you will find a wide range of shore excursion tour options that cover the most popular Slovenian destinations that can be visited through different experiences. Active Tours, Culinary and Nature Related Tours, Historical Tours & Personalised Tour Experiences. Day Tours for Cruise Line Guests! Day Tours can be customised to the client demands, combining different destinations with venues of special interest. If you are exploring Slovenia during a cruise in the port of Koper or Piran you can choose from the small tour options. Most of the tours are based on small vehicle with English speaking driver or guide. For private tours the itinerary and vehicle size can be flexible. The port of Koper is a twist to a traditional Hop on Hop off bus tour, where we offer a selection of tastings that upgrades a standard Hop on Hop off Tour by the name of Hop & Taste Bus Tour. The departures are scheduled within one hour difference in the towns of Izola, Piran, Portoroz and Koper. It is an independent tour that offers the freedom to explore the destination on your own. Active tours are developed and organised with professional licensed guides, who are passionate about the region and the nature. The outdoor activities are a perfect way to spend your day exploring the local heritage in an active way. Biking tours that can be booked either as a guided biking tour, rented for a certain amount of time or multi days biking tour. Different tour program can be arranged upon your request by simply contact us. Hiking tours are the perfect choice to explore the Slovenian nature; with a guided walk to discover the hills beyond Koper or Portoroz. A walk along the walking paths in the coastal area can be a perfect choice if in mood to spend a day away from the bustling towns of Piran, Izola, Portoroz or Koper. Sailing tours offer the opportunity to explore the Slovenian coastal towns from the sea. During the trip you can decide either to use it for a swim experience or a short training of the sailing basics. If you are looking to spend you holidays on Slovenian coast and you need an input, what would be the best options for you stay, with suggestions and local knowledge, please contact us. Our team will create personalized tour programs that will suit you needs and make your stay be enriched by the overall experience. To get a list of all tours available around your location please select the city in which you are or will be staying.